The already popular Pokémon franchise returns to its roots with yet another exciting adventure with the new role-playing games – Pokémon FireRed and Pokémon LeafGreen. The Pokémon franchise has been around for quite some time now and with each installment it takes the excitement to a whole level. Pokémon gets back to where it all started – the Kanto region, the home of the Pokémon Red and Pokémon Blue. Pokémon FireRed and LeafGreen are the remakes of the original pair of Pokémon games, the Red and Green versions, which was a huge success back then. And now the franchise strikes again with more fun and more everything. Pokémon FireRed and LeafGreen were first released in Japan on Jan 2004, in North America on Sept 2004, in Europe on Oct 2004, and in Australia on Sept 2004. The games were a great commercial success, becoming the second best-selling games by Nintendo for the Game Boy Advance, only behind the Ruby and Sapphire versions. Each game follows the journey of a young Pokémon trainer and his quest to catch and train exciting new creatures. The game is set across the fictional yet equally beautiful Kanto region, the first universe to be introduced in the Pokémon franchise. This fictional world is filled with fancy little Pokémon species, featuring a wide variety of environments, such as human-populated cities and towns, mountainous paths, and oceanic routes. Most of the cities are names after colors, such as Viridian City, Pewter City, Saffron City, and of course, Pallet Town (as in Palette), the home of the protagonist and also Professor Oak, the famous Pokémon researcher who helps the player get started with his fun-filled adventure. Plus, there’s more to explore and experience, especially the Sevii Islands, a haven to catch special Pokémon that exists exclusively in the Johto region. The game unites all the worlds of Pokémon, allowing the player to capture and keep all the Pokémon including the exclusive ones in one game. The storyline is same as the Generation I, with the protagonist beginning his journey in the beautiful Pallet Town. The young player with the help of Professor Oak begins his journey with one starter Pokémon from Bulbasaur, Squirtle, and Charmander. The rival also gets to choose his starter Pokémon, who then challenges the player to a battle and it continues through the games. The player comes across “Gyms” and their Gym Leaders, whom the player must defeat to earn Gym badges. What happens next follows the rest of the journey as the player develops strategies, gains experiences, and wins battles to make his way forward. Exclusive Pokémon – Both the games stick to the original theme of 151 Red and Blue Pokémon and set across the beautiful yet mysterious Kanto region. Both follow the same storyline with a solid, fun-filled role-playing experience. However, the one big difference between the two is that each game features some Pokémon that are exclusive to each version. Adaptation of Pokémon FireRed and LeafGreen– Both the games are adapted from the original Red and Blue versions of the Pokémon franchise which first made their appearance in 1998 and have been a successful Pokémon installment since then. 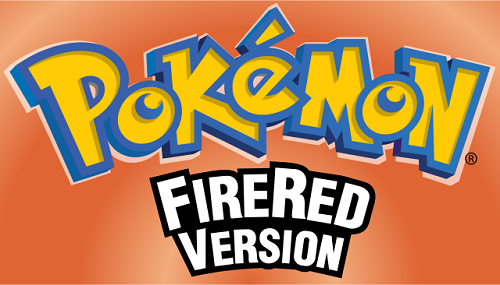 While the FireRed is an enhanced remake of the original Pokémon Red game, the LeafGreen is the upgraded version of the original Pokémon Blue game. Both the installments follow the same storyline, plot elements and take characters from the original games. Team Rocket of Pokémon FireRed and LeafGreen– The fierce and deadly Team Rocket is back in the game to exploit and resurrect powerful Pokémon. The team of villains has an extended role in both the games’ post-game setting. The team has a new base in Sevii Islands, which is only accessible post-National Dex. Elite Four – They are exceptionally skilled Pokémon trainers with Pokémon ranging from level 50 to 75, so the player needs an equally skilled team of Pokémon around level 60 to beat the Elite Four. The Pokémon are different in both the versions, which the player needs to train to gain a 60 level status to beat the masters. Legendary Pokémon – Both the games allow the player to fight and capture the legendary Pokémon from the original Red and Blue games. Articuno (Sea Foam Island), Moltres (Mount Ember), Zapdos (Power Plant), and Mewtwo (Cerulean Cave) are the legendary birds in the game, along with the legendary beasts (Entei, Suicune, and Raikou), depending on the partner Pokémon you chose at the beginning. The LeafGreen exclusives include Ninetales, Bellsprout, Slowpoke, Staryu, Starmie, Magmar, Marill, Misdreavus, Sneasel, Octillery, Magby, Deoxys, and more. Pokémon FireRed is an enhanced adaptation of the original Pokémon Red game. 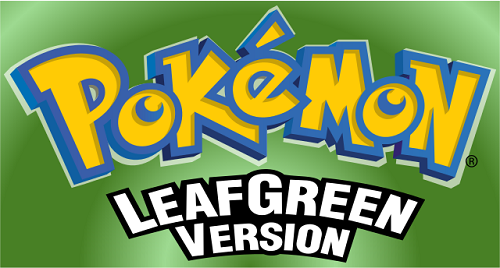 Pokémon LeafGreen is a much advanced remake of the original Pokémon Blue game. Fire exclusive Pokémon are Growlithe and Arcanine. Vulpix and Magmar specialize in fire moves in LeafGreen game. Golduck and Psydick are exclusive Pokémon specialized in water moves. Staryu and Starmie specialize in water moves. Delibird and Skarmore are exclusive flying Pokémon. Mantine is the flying exclusive Pokémon. The game follows the same plot as the original Red and Blue games, with the player beginning his/her journey in the fictional Pallet Town. The difference between the two games is very subtle, not worth pointing out, except the rarest Pokémon that are exclusive to either version. Pokémon FireRed and LeafGreen are the upgraded versions of the original Pokémon Red and Blue games, with more fun and more adventure. There are about 20 exclusive Pokémon in each version with different abilities. Besides that, there is no significant difference between the two versions. Sagar Khillar. "Difference between Pokémon FireRed and Pokémon LeafGreen." DifferenceBetween.net. February 19, 2018 < http://www.differencebetween.net/miscellaneous/entertainment-miscellaneous/difference-between-pokemon-firered-and-pokemon-leafgreen/ >.